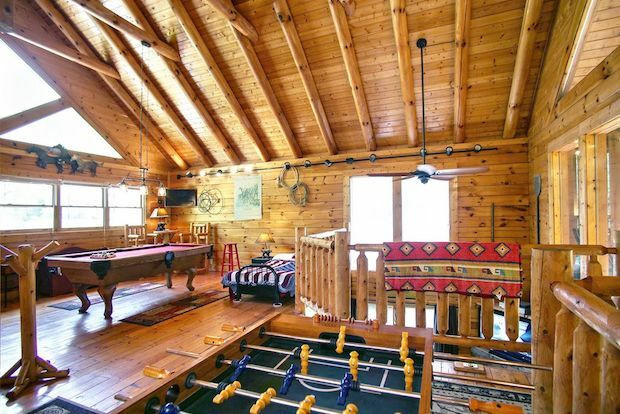 This cabin in Pigeon Forge, Tennessee looks like someone tacked on a log cabin onto another log cabin for twice the charm! 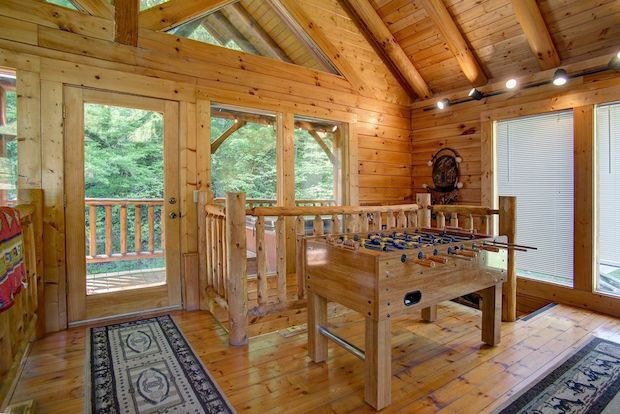 You’ll also have twice the decks, twice the size, and twice the living space. 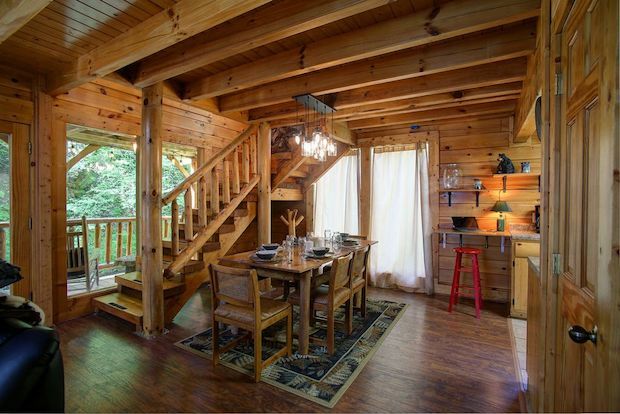 Inside you will be greeted to vaulted ceilings on the upper floor and exposed beams on the ground floor ceilings. 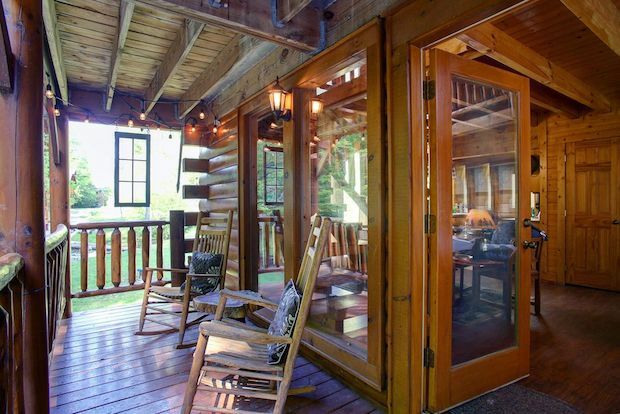 The cabin has a generous number of wide windows for a healthy helping of natural light across the interior. 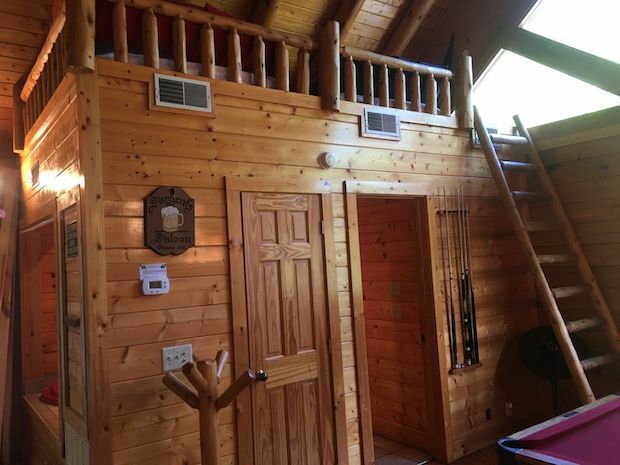 Wooden backdrops all around only add to the classic log cabin charm. 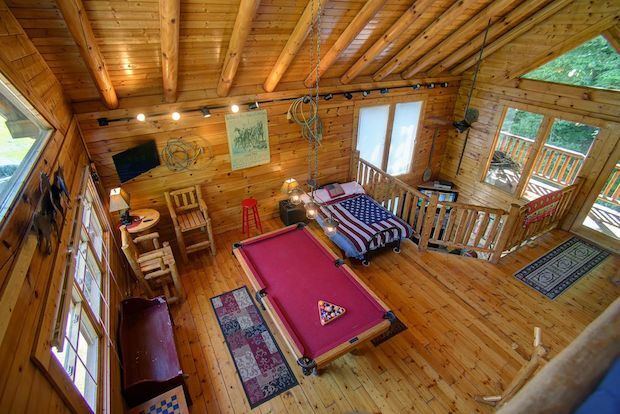 Outside the cabin, there’s a fire pit and picnic table where you can enjoy a nice barbecue next to a mountain stream. 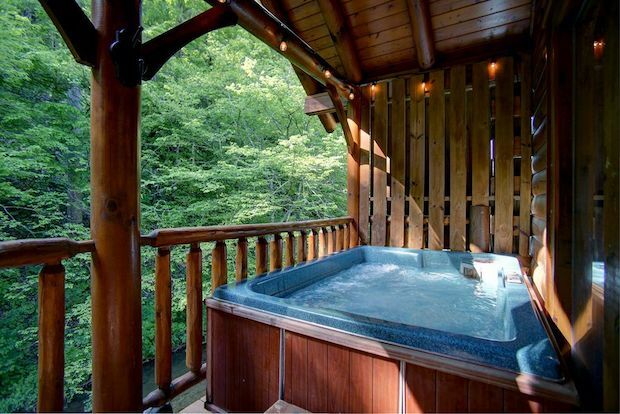 Take in the lush scenery as you sit back and relax in the serene location. 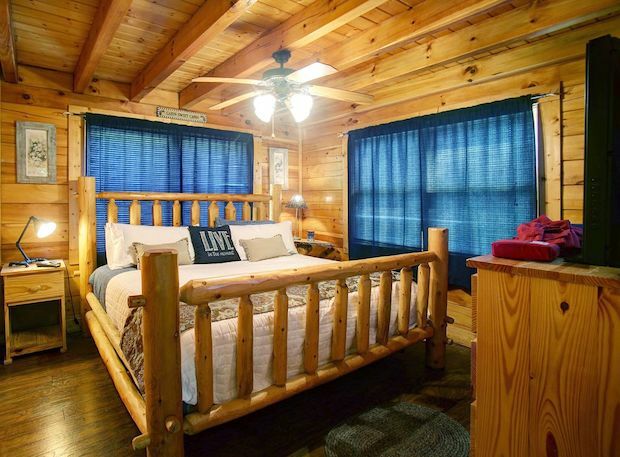 Now you can enjoy this all for yourself, but the cabin has been recorded to be a popular getaway home for renters so why not take advantage of that as an additional income opportunity. 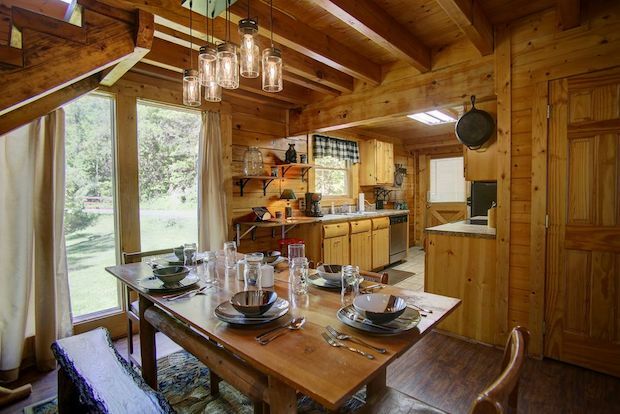 The home is sized at about 1,165 square feet and is for sale at $299,000. 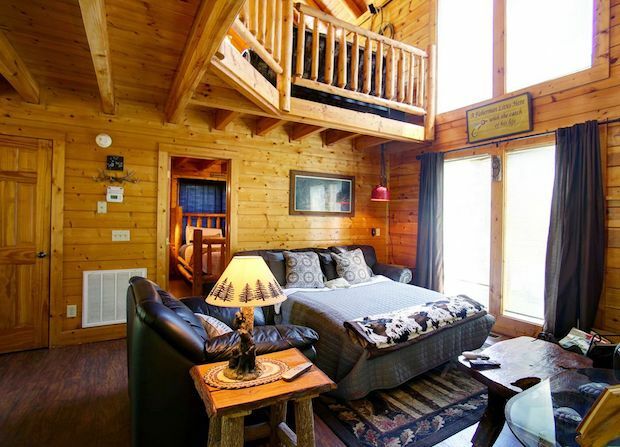 The home is fully furnished with linens available, and a business plan to make some rental income. We generated over 45k last year in 11 months. It has the potential to go over 50k for the new owners. We will provide a recommended cleaning crew, maintenance team, and records on all upgrades done over the years. 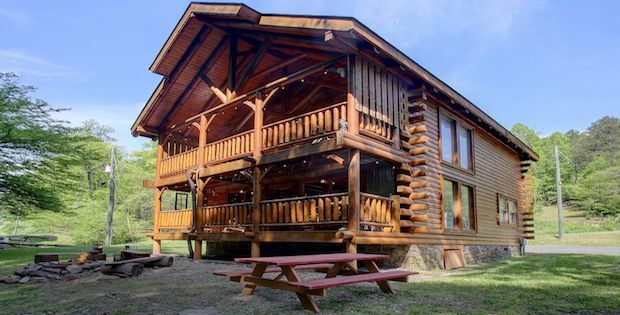 You’re not just buying a cabin here, you are buying an amazing business.